And with a new year comes a new Love Lula Beauty Box! Normally I would not post a full write-up this quickly about a beauty box, as I like to give time to sample the products and see if they grow on me over time or if they fall flat after several uses. 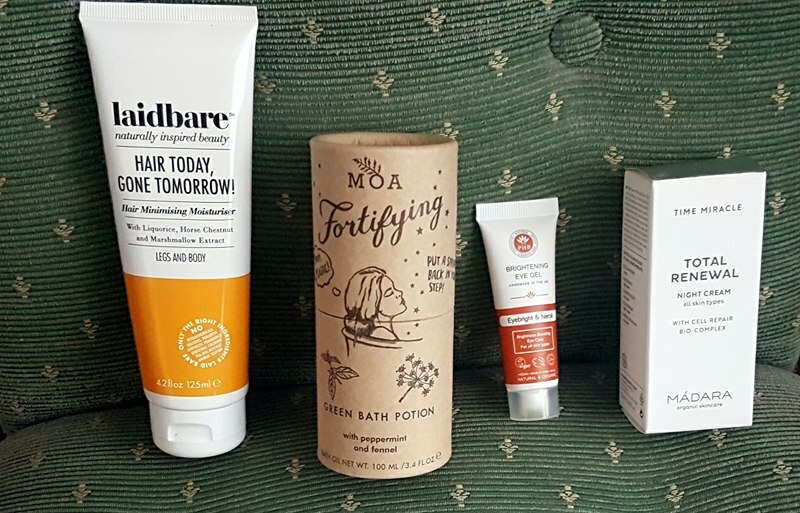 However, for January's box, I can safely say I have used three quarters of the products before, and though I am not overly excited in terms of unique and new items being represented, I am happy with the quality and value! And the RRP of this month's box is pretty impressive standing in at £71! I think I can safely say Love Lula delivered in terms of having listened to the fuss kicked up about all the sachets in December's box. Not a squeezy pouch in sight! Instead, we have three full size products, and one deluxe sample, all of which are perfect for truly testing out the items. Also, I am thrilled that there is not a face oil in this collection, as I am truly at my limit at the moment (as you could probably tell from my Oil Games!). While I am aware many long-term subscribers are a little disappointed with the 'repeats' that keep popping up, my feelings about this month's selection are actually really positive. I adore anything by MOA, am continually impressed by PHB, appreciate the low cost and effectiveness of Laidbare, and am never let down by Madara. So in terms of quality, this box rocks it. 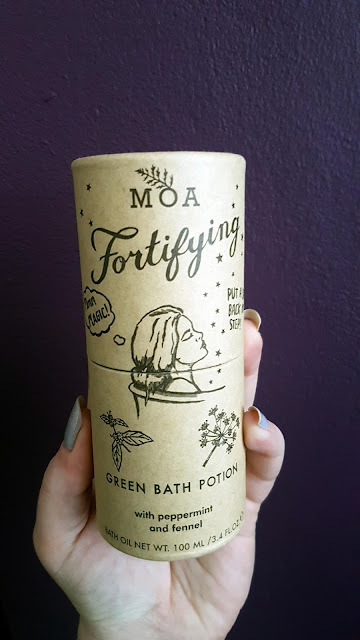 I have never used a bath oil as luxurious, calming, and downright magical as this 'potion' by MOA. The smell is intoxicating -- the fullness of the peppermint is perfectly complimented by fir needle, fennel, and sweet birch, and the cooling tingles it leave on the skin is perfect for sore muscles. Plus, like all MOA's products, this is free from all those nasties found in a lot of other bath oils. No parabens, added perfumes, alcohol, or other irritants, so your bath can be a truly relaxing experience. I know I have talked about this before, but this is a product I make sure is always at the ready in my cupboards. Buy for £27.50 from Love Lula. This is the one product in this month's box that I have yet to try, but just from the smell I know it won't be difficult to use this big bottle up! It smells of summer, ice lollies, and warmer days -- is winter over yet??! 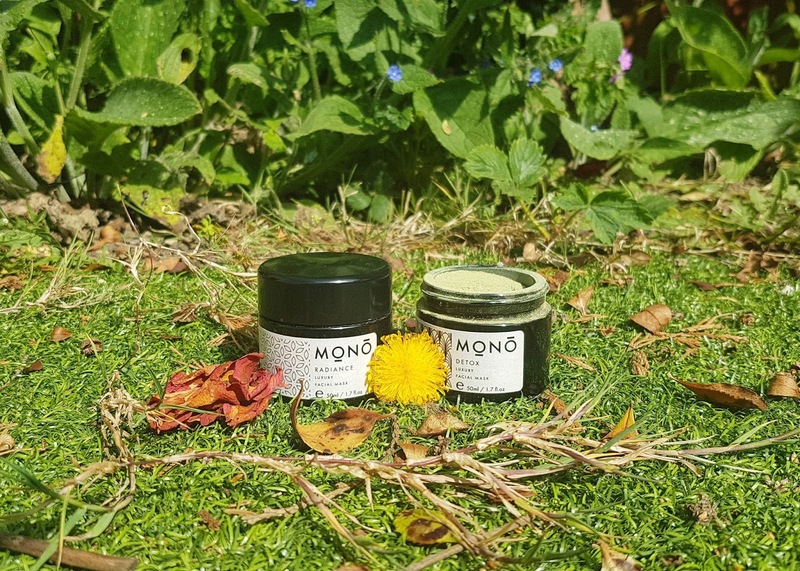 Packed full of ingredients that target hair growth, this cream is designed to slow down those pesky prickles (you know the ones I am talking about!) while also soothing damage from shaving. 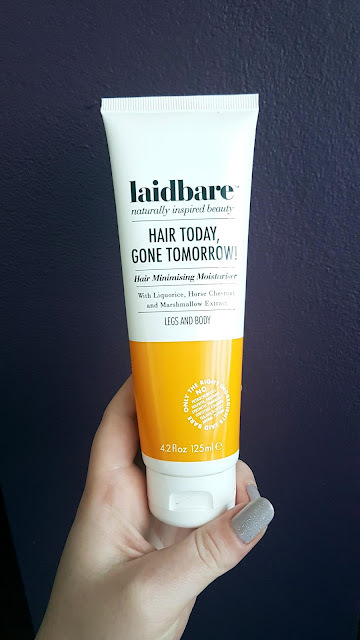 I may have let my legs do their thing during the cold months, but I think it is time to start taming the mane, and this could not have come at a better time. I will keep you updated on how it goes! 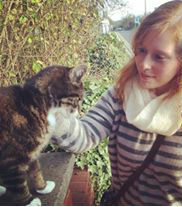 Buy for £6.99 from Love Lula. 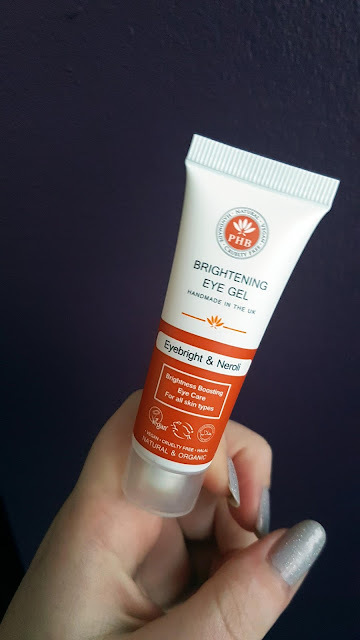 I have been on a hunt for a brightening eye treatment for months, and while I still haven't found my perfect formula (something with a bit more ummph, like the Origins Ginzing), this PHB gel comes so close. I love the smell, as neroli is so uplifting, and the consistency is honestly one of the best I have come across. Since it is a gel, it doesn't leave that white sheen you sometimes get when you accidentally apply too much product. While it does not have any light reflecting qualities, I have noticed the skin under my eyes has looked noticeably better since starting using it a few weeks ago. I do have to say this is probably more ideal for 'younger' skin, but for me that is refreshing as it can be hard to find a great eye treatment that is lightweight and not attempting to tackle fine lines. Buy for £16.95 from Love Lula. Okay, so while I won't be using this product myself, it is something that my partner has been using regularly for several months. His skin type is much more suited to Madara's Time Miracle line than mine, so he always enjoys when they arrive in my boxes (free pampering for him!). 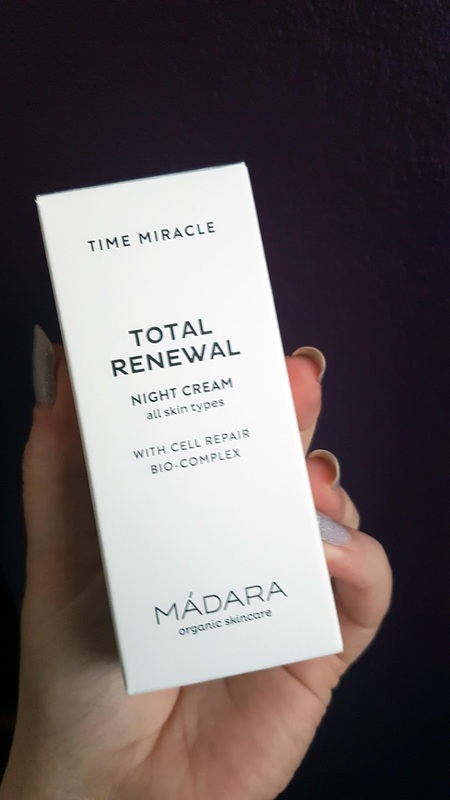 While this night cream has the classic 'night cream' smell, it also has undertones of sea-buckthorn, making it more pleasant than some of the other Madara creams. I have to say, if you have fine lines or dry skin, this cream will be perfect! Since starting using it, my partner's skin has been so soft, smooth, and bright, to the point where he continuously asks for his 'treatment' -- and for someone who hated the very idea of using any cosmetic product a year ago, that is huge! Buy for £42.00 from Love Lula. Overall this box gets a big thumbs up from me. Even though I have received some of these items before, and even though only one of them is new to me, I think the quality is excellent and the variation is great. I love that the box has moved a little further away from 'winter' products, and I am really happy that I get a bonus bottle of one of my favourite products. I am looking forward to seeing what else this new year brings from Love Lula, and if you are interested in getting your own boxes, you can head on over to their website to pick up a rolling month-to-month subscription, or a 3, 6, or 12 month package! I was quite disappointed with the December box, but like you, I was really happy with January's one! I haven't tried any of these products before, but I love Madara, and I'm interested in the hair today gone tomorrow idea. I've just bought a very similar product to the bath potion ... oh well, now I have two! Just an excuse for more relaxing baths! Sorry I missed your question - it's the reviving pine bath from Weleda.